No change in your life style and customs. Car operation & management by wireless phones, tablets, etc. Company will bear all costs for wireless credit card. 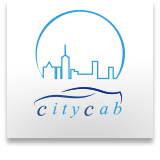 Taxi association evaluates Citycab to the best rank of “Double AA rank“. Company will pay for the cost of pro-driver license.